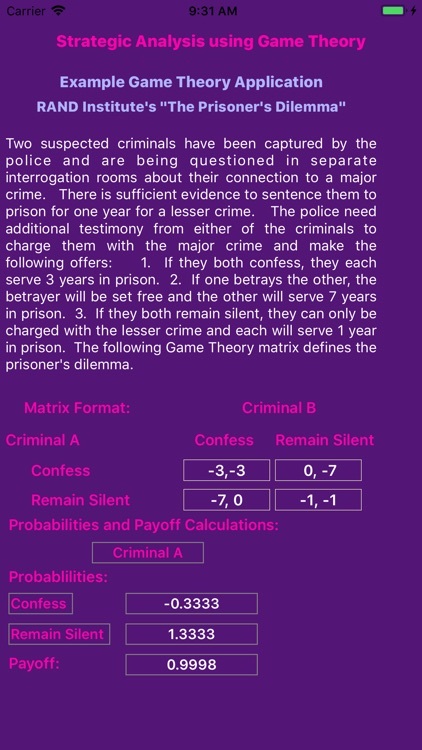 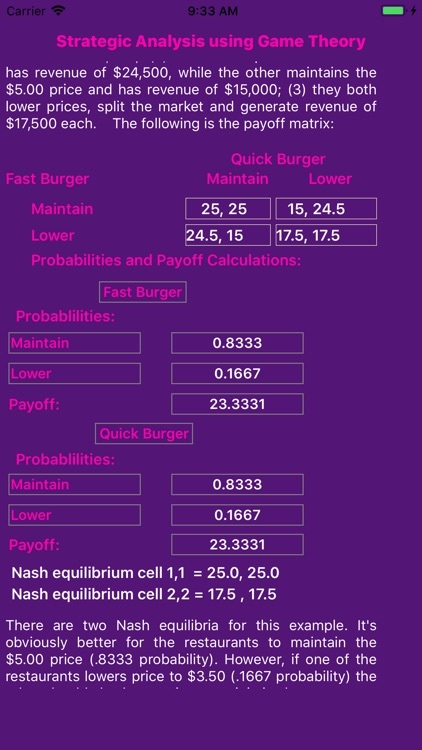 Game Theory Strategic Analysis by Global Business Strategies, Inc.
by Global Business Strategies, Inc.
Game Theory Strategic Analysis is an easy to use native app that allows the user to quickly enter a 2 x 2 matrix of quantified strategic actions to help evaluate strategic options. 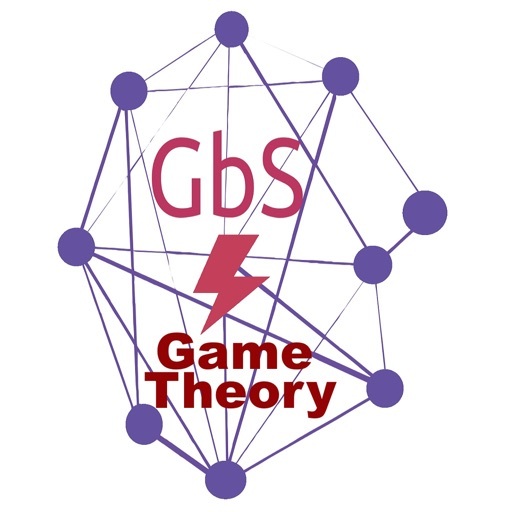 Game Theory principles are used to calculate the probability of success along with the potential payoff of the strategic actions. 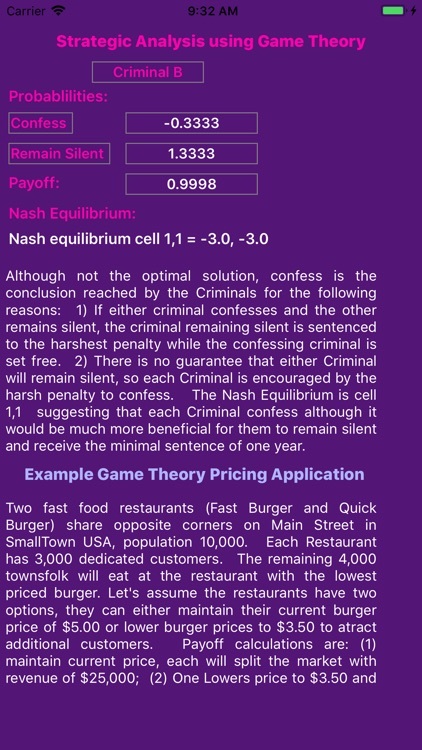 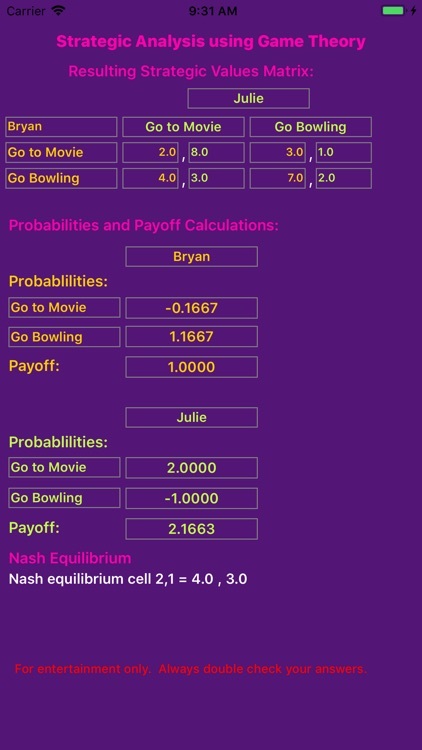 In addition, Game Theory Strategic Analysis determines if Nash equilibrium exist for the quantified strategic actions. Examples of Game Theory Strategic Analysis applications are provided to assist with understanding the various uses of the app.